Coinciding with its 2012 World Championships in Indianapolis this summer, Drum Corps International will present a "sampler" edition of its acclaimed Marching Music Academy on Saturday, Aug. 11 from 9 a.m. to 12 noon at Lucas Oil Stadium. Along with these renowned clinicians, the Marching Music Academy Sampler will also feature the staff and students of Northview High School from Brazil, Ind. The Northview Marching Band will be on the field and will provide samples for discussion in real time. 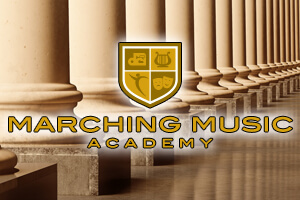 Be a part of the conversation on the hottest topics in marching music today! All you need to do is register and come ready to engage!